With only 4 simple ingredients - our Cookies 'n Cream Stack is a sure-fire way to sweeten up your afternoon! First heat pancakes in the microwave according to packaging instructions. Allow your pancakes to cool. Next, put a few spoonfuls of whipped cream into the mixing bowl. Crumble the Oreos on top of the whipped cream and mix them together until they are thoroughly combined. 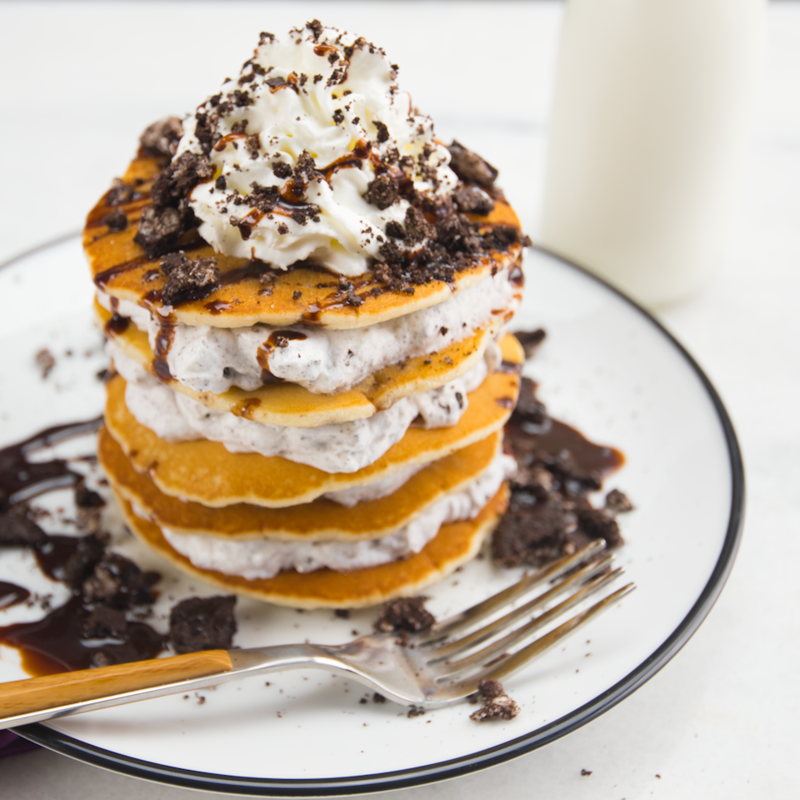 Then, use your spoon to layer cookies ‘n cream mix between each of your pancakes – go ahead, stack as many as you want! Once you’re done stacking, top it off with a spoonful of your cookies ‘n cream mixture. Drizzle some chocolate syrup on top, and you’re done!